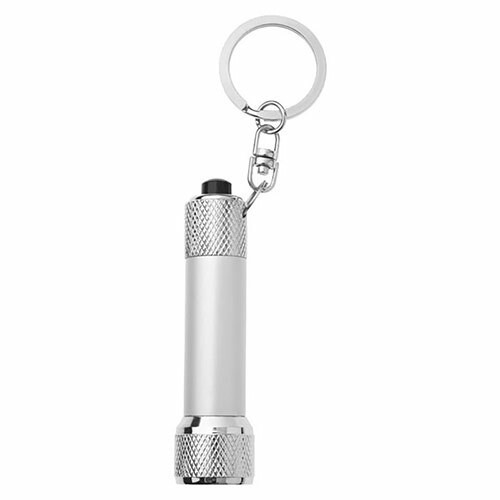 Handy torch keyfob in sturdy but lightweight aluminum in attractive silver colour finish. 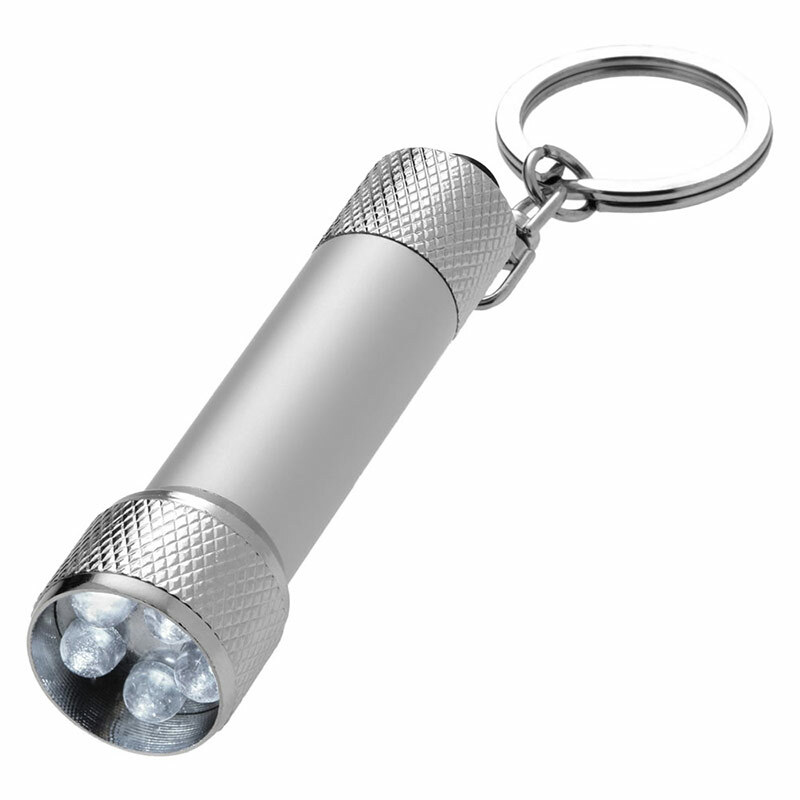 These torch keyrings have a 5 LED light function and are supplied with batteries. They are ideal engraved as corporate gifts or branded promotional merchandise. Product size: 6.5cm x 1.5cm dia. Weight: 22g.